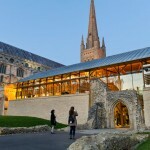 Norwich Cathedral Hostry has been sympathetically extended using modern methods to give a contemporary functional space. Using a fast setting adhesive CB10T structural adhesive makes onsite construction possible. 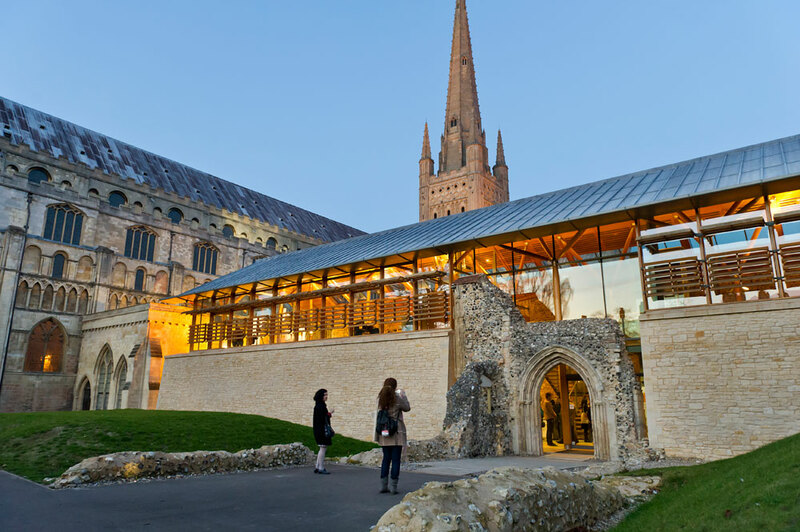 The Hostry is the sister building to the originally developed Refectory and as such the new timber structure in the Hostry uses the same design principles to re-establish the West Entrance to the Cathedral’s cloister. 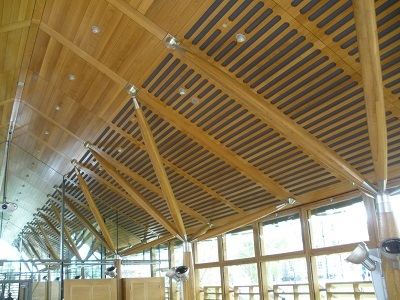 Constructional Timber supplied the European oak glulam which was quarter sawn, first quality, kiln dried with a Restol finish. 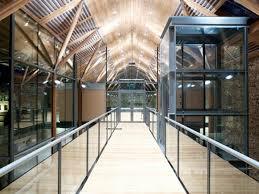 The oak glulam was supplied through Coulson Joinery Ltd, who supplied the second fix material in the same oak. 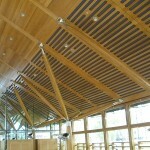 Constructional Timber supplied and erected the laminated oak “trees” as well as the flitched cruciform columns and the associated stainless steel metalwork. All fittings were stainless steel with a bead blasted finish. Hopkins Architects, did not want any external services when the columns were laminated, a plastic conduit was placed in the centre with drop rods for the services contractor to connect to. 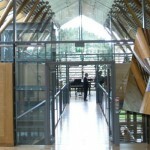 The oak “trees” were bonded to the stainless steel metal work using CB10T Structural Adhesive, specified and supplied by Rotafix , giving no visible connections. 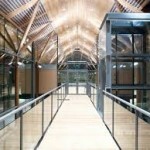 The fast setting structural epoxy adhesive CB10T has been widely used in interior structures where the connection is made between metal and timber.